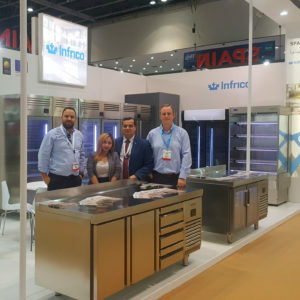 Infrico, the first company in commercial refrigeration, has participated in the second GulfHost edition, leading event in the hospitality sector of the Middle East, as leading brand in the sector, “Horeca Equipment from Spain”, and with the Association of Spanish Manufacturers Exporters of Equipment for Hotel Industries and Communities, AFECH. 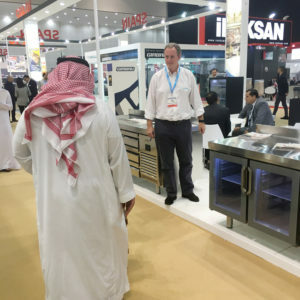 This year, the event has been held at the Dubai World Trade Center, and more than 2,600 brands have attended this important event. 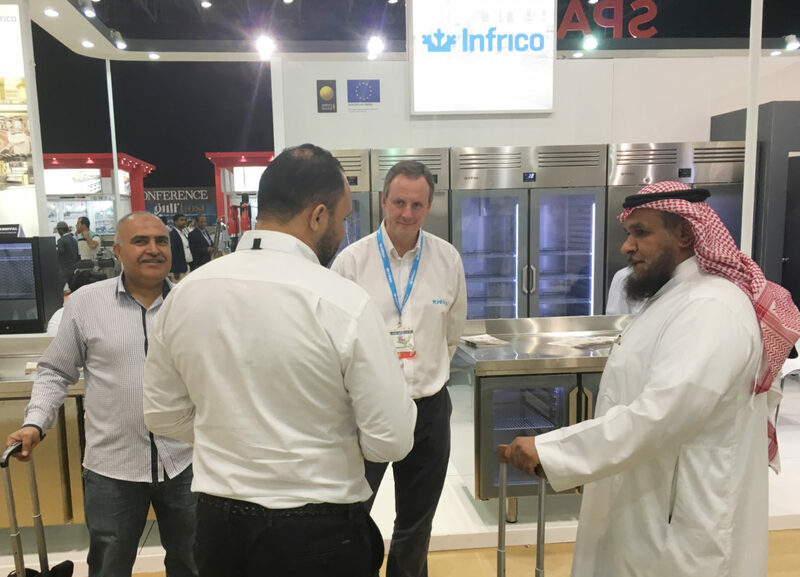 Infrico has attended this fair to continue positioning itself in Western Asia with its cold equipment for the HORECA sector (Hotel and Catering Inudstries). Quality machinery characterized by high performance, reliability, energy efficiency and cutting-edge design. It is the intelligent equipment of Infrico, which applies the Internet technology of Things, offers considerable energy savings and is a pioneer in the use of green refrigerants, such as R290, with minimal environmental impact. Infrico has the Spanish Origin Certificate (OEC) that accredits the manufacture of products in Spain, thus becoming the first company in the sector in national territory to achieve this seal after successfully completing its exhaustive audit process. The Infrico Quality and the fact that 100% of their equipment is tested at the company have made them worthy of this distinction that guarantees their excellence. The production centers of Infrico are located in Lucena, in the province of Córdoba, and are one of the most modern industrial facilities in Spain. Three plants with total area of 160,000 square meters for production, logistic activities and offices.